“I have not had a period for many years as a result of a chronic eating disorder that I am now in full recovery from. I am at a healthy weight, eat proper nourishing whole meals each day and follow a strict Ayurvedic daily routine. I have seen the huge changes in my life, body, mental and emotional states all thanks to the art of Ayurveda with the end goal of restoring my period once again. 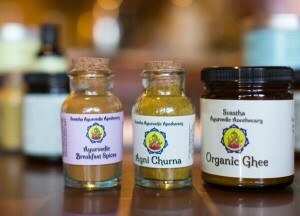 Submit your Ask Ayurveda questions here! Thank you so much for your openness and honesty in your question. You are correct that this is not a popular subject on the internet or in our day-to-day lives. Overall it seems like women are highly undereducated when it comes to the health of their menstruation, most likely because it is often an uncomfortable topic that goes unmentioned. Luckily in Ayurveda there is no health topic that cannot be talked about. In fact the menstrual cycle and a woman’s reproductive system is the basis of female health and therefore a large focal point in any woman’s healthcare. If an imbalance is showing up in our cycle, it is essential to address the issue as soon as possible in order to restore hormonal balance and longterm health. Without addressing this issue, disorder and disease are sure to follow. Lack of menstruation is known as amenorrhea. There are many different causes for a woman losing her period including malnutrition, malabsorption, anemia, low body weight, depletion, chronic stress, and chronic exhaustion. Most of these issues fall under a Vata imbalance and therefore Vata will be a major focal point when treating amenorrhea. In your case, it seems like there was malnutrition, depletion, and high stress occurring among other likely factors due to the eating disorder. Since it sounds like this had been going on for a long period of time, it is not surprising that your menstrual cycle is taking some time to restore itself. However, I have no doubt that with the proper diet, lifestyle and herbal regimen we can bring your cycle back and regain balance in your system. Before I go on with the recommendations, I would like to mention that this is a topic that hits home for me. In my mid 20’s, I too lost my menstrual cycle for over 2 years due to a strict Vegan diet (at the time 6+ years), low-iron anemia, depletion (from both diet and overexercise), and low body weight. 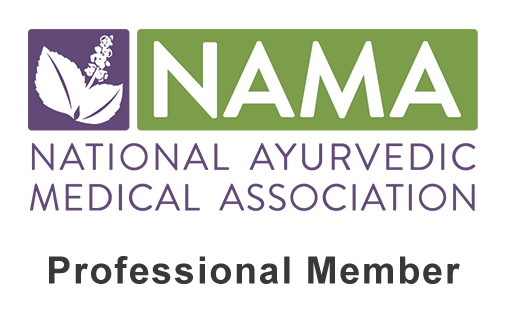 Unfortunately I had not studied Ayurveda at this point and I was not aware of our unique constitutions and the essential balance of Vata, Pitta and Kapha (and in this case specifically Vata). I tried numerous treatments including Acupuncture (weekly for over 6 months) and various Yoga practices. However, it wasn’t until I learned individualized balance through Ayurveda that I was able to discover the causes of the amenorrhea and realize the necessary changes I needed to make in order to regulate my system again. Very shortly after I learned this I was able to restart my cycle through practicing a more appropriate diet and lifestyle for my constitution and my condition. As I mentioned, with amenorrhea, we must focus on the increased Vata that causes this dryness and depletion in the female reproductive system. With this increased Vata there is also going to be reduced Ojas which is the “juicy” energy that governs our vitality and immunity. With these two main factors in mind, let us go on to create a well-rounded treatment plan through diet, lifestyle and herbs! Since diet is a major factor in amenorrhea, these recommendations will be very important to follow. We are mostly focusing on increasing the digestive fire (Agni), reducing Vata, promoting Ojas, and removing unhealthy foods. **Please note that if iron-deficiency anemia is present, it may be needed to take in iron-rich animal products such as lean ground beef, buffalo meat, or bone marrow broth made from cow bones, as animal-based iron (heme iron) is absorbed much more readily in the system compared to plant based iron (non-heme iron). 1. Eat mostly warm, nourishing, healthy meals. In order to reduce the Vata and increase the digestive fire, it is recommended to eat mostly warm, well-cooked meals which tend to be very grounding and easy to absorb and digest. This includes dishes such as soups, stews, crock pot meals, kitchari, dals, stir-fry, steamed or sautéed veggies, porridges, oatmeal, etc. Avoid raw, cold, dry, and rough foods such as salads, smoothies, raw veggies, crackers, dry cereal, toast, etc. 2. Eat home-cooked whole foods; eliminate all processed foods, preservatives and additives. When the menstruation has ceased it is important to keep the diet as clean as possible in order to rid the body of toxins, increase the digestive fire and take in the essential vitamins, minerals, and nutrients. Everything you eat should be home-cooked and made from whole foods. Avoid anything that is prepackaged whether it is in a box, bag, canned, frozen or the like. These are all considered processed foods and often have preservatives and additives in them. If you do have to eat something that is prepackaged, make sure to read all ingredients and avoid any foods with weird, unpronounceable ingredients! 3. Take in healthy fats with each meal. Lack of menstruation often has the dry quality of Vata associated with it. Therefore making sure to get healthy fats in with each and every meal will help to reduce this dry quality and lubricate the vital tissues. Some great options includes ghee, coconut oil, sesame oil, olive oil, avocado, coconut, chia seeds, flax seeds, flax oil, salmon, almonds, sesame seeds, tahini, pumpkin seeds, and whole milk yogurt or kefir. Try our Homemade Ghee recipe! 4. Promote digestion (Agni) through warming digestive spices. Changing the foods we eat will help increase the nutritional value, but in order to ensure we are absorbing these nutrients we must take steps to increase the digestive fire as well. Spices are a simple addition to our meals that not only increase digestion and absorption, but also will possess many other health benefits such as removing toxins, strengthening the blood, and enhancing circulation (all of which are vital for promoting a healthy menstrual cycle). Some great options for you at this time will be ginger, turmeric, cinnamon, nutmeg, cumin, brown mustard seed, fenugreek and ajwain. These are all warming spices and will help enhance the blood flow. You can also try our Vata Churna, Agni Churna, or our Ayurvedic Breakfast Spices which possess these qualities as well. 5. Include Ojas-increasing foods in the daily diet. 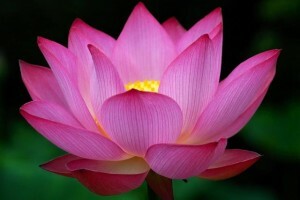 Ojas is the subtle energy that plays a direct role in our energy, strength, immunity, libido, fertility, and vitality. One great way to strengthen this vital force is through our diet. Ideally you will want to take in at least one Ojas-increasing food with each meal at this time. The lifestyle recommendations are focused on reducing stress, promoting circulation and blood flow, and balancing the hormones. 1. Create a healthy daily routine. Click here for a more detailed chart on a healthy Ayurvedic daily routine! 2. Perform 10 rounds of Nadi Shodhana pranayama (alternate nostril breathing) each morning. This ancient breathing technique is one of the best treatments for creating internal balance in the body (including hormones!) and mind. It promotes oxygen and circulation throughout the system and removes obstruction from all channels of the body. This in turn will promote healthy circulation and proper blood flow. Nadi Shodhana is great for reducing overall Vata imbalances and alleviating stress as it instantly will activate the Para-Sympathetic Nervous System (known as the “rest and digest” system). Click here for full instructions on how to perform Nadi Shodhana (alternate nostril breathing). 3. Practice our Restorative Yoga Sequence for Menstruation each night before bed. Although Yoga alone may not be enough to spark the menstrual cycle, it is a beneficial addition to your treatment protocol. These postures are specific for balancing and strengthening the female reproductive system. They will also be equally beneficial for reducing stress, increasing blood flow, and removing constrictions in the body. Practice the postures listed each night directly before bed, holding each pose for 2-5 minutes. Click here for our our Restorative Yoga Sequence for Menstruation. 4. Massage the abdomen with Vata Oil each night before bed. Each night before bed lay back in a comfortable position and gently massage the entire abdomen using Vata Massage Oil. Ideally you will use a circular clock-ward movement, as you stroke up on the right side and down on the left side. While using this circular motion, make a large circle that slowly becomes smaller and then back to large again. Apply this massage for about 5 minutes every night before bed. Purchase our Vata Massage Oil here. The proper herbal treatment will be a powerful complement to the diet and lifestyle changes that you make. With these recommendations, we are focusing on increasing the digestive fire, promoting blood flow, balancing the hormones, rejuvenating the system and reducing the overall Vata imbalance. 1. Drink ginger tea between meals. Ginger will be an essential part of your herbal treatment as it combats several factors. It is great for improving digestion, promoting blood flow, and even for reducing stress. In order to benefit from its healing properties, it will be necessary to strive for consistency and make this a part of your daily regimen. Directions: Drink one cup of ginger tea 2 times daily between meals. For simplicity, it is recommended to make a large pot in the morning to drink throughout the day. If desired, the ginger tea can be rotated with CCF tea (see link to recipes below) or our Detox Tea blend. Click here for our printable Ginger Tea Recipe. Click here for our printable CCF Tea Recipe. 2. Take Rasayana Ghrita twice daily. This mediated ghee is specific for promoting rejuvenation, reducing Vata imbalances and balancing the hormones. With herbs such as Shatavari, Vidari and Licorice, this is the perfect formula for promoting healthy menstruation! Directions: Take 1 tsp of the Rasayana Ghrita blended with 1 tsp of honey each morning before food and again around 2-3pm (between meals). Purchase our Rasayana Ghrita here. 3. Take Moon Goddess Tincture three times each day. Our Moon Goddess Tincture has been formulated specifically for treating female hormonal imbalances. This includes menstrual disorders such as amenorrhea and therefore will be an essential addition for your treatment protocol. Directions: Take 4 dropper fulls* of the Moon Goddess Tincture, three times daily, before each meal. *One dropper full is equivalent to one squeeze of the dropper. This typically will fill about 1/3 of the glass dropper. Purchase our Moon Goddess Tincture here. 4. Drink Shatavari Milk before bed each night. When it comes to female health, there is no better herb than Shatavari (generally speaking of course). It promotes healthy estrogen in the system and will help jump start your cycle. Taking this herb each night in warm milk will help to rejuvenate the reproductive system, reduce Vata, and promote healthy Ojas in the system. NOTE: The Ashwagandha you are currently taking can be discontinued. Shatavari is much more supportive for the female reproductive system, where as Ashwagandha is more specific for treating male reproductive disorders. Directions: In a small pot, bring the milk, ghee and water to a low boil. Add the Shatavari powder and ginger powder. Continue to heat on a simmer, partially covered, until the liquid is reduced and one cup of liquid remains. Let the milk cool to a drinkable temperature (about 110 degrees), and then add the honey to taste. Drink this every night before bedtime. 5. Perform Dashamul Basti weekly. Although Uttar Basti can still be continued, I would recommend adding in a weekly administration of the Dashamul Basti (enema). This traditional Ayurvedic treatment is extremely beneficial for reducing overall Vata imbalances and stimulating Apana Vayu, the downward flowing wind in the body. Apana is needed for healthy menstrual flow, as well as proper elimination. Directions: Perform the Dashamul Basti (enema) once each week (ideally on the same day). This can either be administered first thing in the morning on an empty stomach, or before bed 3-4 hours after light food intake. This should be continued until menstruation occurs and your cycle has become consistently regular. **Avoid any enema treatment during menstruation. Click here for more details and full instructions on the Ayurvedic Basti. Click here to purchase our Herbal Enema Kit (comes with the Dashamul powder). Amenorrhea (cessation of menstruation) is a female reproductive disorder revealing issues such as overall depletion, weak digestion, malabsorption, anemia, hormonal imbalance, high stress, increased Vata and/or low Ojas. In order to find female health and balance, one must remove their specific cause(s) of this depletion in the reproductive system and make the appropriate changes in their diet and lifestyle to promote digestion, hormonal balance, and rejuvenation. By using the proper regimen of diet, lifestyle, and herbs a woman can regain her vitality and regain a regular menstrual cycle. So Waning Moon, I hope you can find this information useful as you continue your healing journey with Ayurveda. I have given you a lot to work with, so please do not expect to make all of these changes overnight. It will be best to choose 1-3 options from each category and add more recommendations on from there overtime. If anything comes up along the way please do not hesitate contact me! Thank you again for your openness and honesty. You have come a long way and I have a strong faith that you will overcome this menstrual irregularity just as you overcame your eating disorder. It is all a process and takes time and patience. You have already accomplished more than most however, and I know you are an inspiration for others! As always, excellent insight on our body’s health. Thanks for your support and kind words Amy!